Q: Let's step away from besties...What is the worst book that you have ever read and actually finished? Wow, well this is a hard question. I usually enjoy most of the books I've read, and recently I've enjoyed all of the ones I read. So, I guess I'll do ones that I've read awhile back. I'd have to say it was a book I read for school called The Slave Dancer by Paula Fox. Now, I guess I didn't really hate it, but I just wasn't that into it. I can't think of any other books that I've actually really hated, but this book is one I strongly disliked. There was nothing that interesting about it, and I probably would have stopped reading it, but I had to for school. Q: This week’s question isn’t a question at all! I thought I would do things a little differently this week and give all of you a chance to promote a giveaway (or two!) from the blogosphere. So, I guess I'll link up a giveaway that I just entered recently. 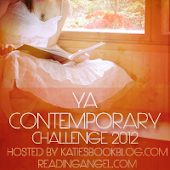 The giveaway is at AwesomeSauce Book Club where they are having their 6 Month Blogoversary! Each week they are having a giveaway, so you should go check out their blog and enter! Congrats to them! Any other giveaways anyone knows about? Go ahead and tell me in the comments! Wow, similar questions this week between the Follow Friday hop and this hop! Well, I guess I have a few different ones. The last book I had a hard time finishing was Shadowland by Alyson Noel. You can check out the review on my blog. The beginning was sooo slow, and their was a minor exciting part around the end. Nothing was resolved that was started in Blue Moon, and I didn't really enjoy it. 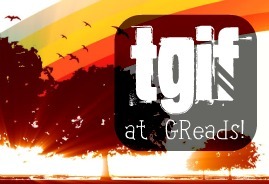 But, I didn't say this for the Follow Friday question because I wouldn't say it was the worst book I've ever read. It's just one that I didn't enjoy as much. Thanks everyone for visiting my blog and reading my answers! I love to get comments, and check out other people's hops! So, you will probably be seeing my comment! Give me a link in the comments, and I definitely will! So I haven't read or even heard of The Slave Dancer. I guess I don't need to go look for it. 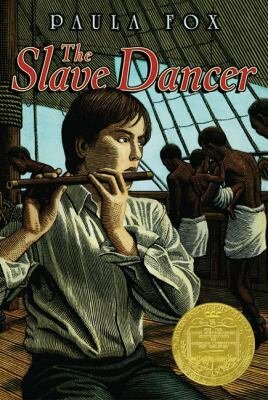 I've never heard of The slave dancer - the cover would also probably put me off a bit! Hopping by for FF. New follower here. Never heard of the Slave Dancer but the cover does look boring! Hope you have a great weekend. Nothing worse than having to read something against your will. Nice answer. Hi, I came here trough the HOP! I've never read the Slave Dancer. The worst book that I remember HAVING to read was ETHAN FROME from high school. I hated that book!! Hop on by the Wastelands! While your there don't forget to collect the clues for the Forever Books/Swag giveaway. Also don't miss your chance to enter the Winter's Shadow Signed Book/Necklace GIVEAWAY!! I'm glad there aren't too many books you've read that you didn't like-- it definitely wasn't fun being forced to read boring books for school though! You can see my FF post for this week at the link below-- hope you have a great weekend and happy reading!! Shadowland made my list too. I really enjoyed the first book, but felt like the series took a turn for the worse after that. Stories and Sweeties is hosting an awesome giveaway of a mystery box. You should take a look at it! Thanks for the giveaway possibility. This is such a pretty blog!! I just hopped by and I am a new Follower! @StuckInBooks Yeah, I don't think you should check it out. It was really bad! @Jules I don't like the cover either! @Sharon I'll go stop by your blog! @Ange The cover does show it is really boring! @Felicia Very true! Thanks for stopping by, I'll go check out your blog! @Amy Thanks for visiting my blog! I hate it when you dislike I book that you're forced to read. @Nina I know! They should make you read a book that you would actually enjoy! @Lea I'll go check out your blog! Thanks for coming by! @Ginger I recently just finished Shadowland, and I haven't read the rest of the series yet. I'm not sure if I'm going to continue it yet! Thanks for stopping by! @lex Thanks, I'll go check it out! @AgnesPink Thank you!! I'll go check out your blog! I find that the more books I find that I like, the less likely I am to finish one that I'm not enjoying. Way too many good books to read to spend time on "bad" (for me) books! Happy Friday! New follower stopping by! I've never read 'Slave Dancer' but it doesn't look particularly appealing. On the other hand I love Alyson Noel's series, can't wait for the last installment came out yesterday. I didn't even get to shadowland, I hated Blue Moon and I thought the ending was really really silly. Put me off that series permanently. It's a shame it was redeemed in the next book though. Thanks for stopping by my blog! @Jessi Thanks for stopping by! @barmybex Yes, it definitely isn't appealing. @Cait I'm glad you came by my blog! I probably will read the next one just to finish the series because I hate not finishing them, and having only a couple on my bookshelf. @Kaye M. Wow, you're the first person that actually has read it!! @Trish Your welcome! It IS hard to be sarcastic on the internet, no one can ever tell! Hopping through. I loved the first Immortals book, but I haven't managed to get through the rest of them. @Alyssa Thanks for coming by my blog! I haven't heard of the Slave Dancer. It looks like a book you'd have to study for school... I only liked maybe five of the ones my school had assigned me. All the rest were so boring. I agree with your assessment of Shadowland. I feel like that is the Immortals series in general though. It makes it so much harder to read when Ever does something I'd consider stupid. I am currently hosting two giveaways :). And am now following you in return. @Christina Ugh, books for school are never fun to read. Thanks for coming by!